Do you need help with your next direct marketing campaign? 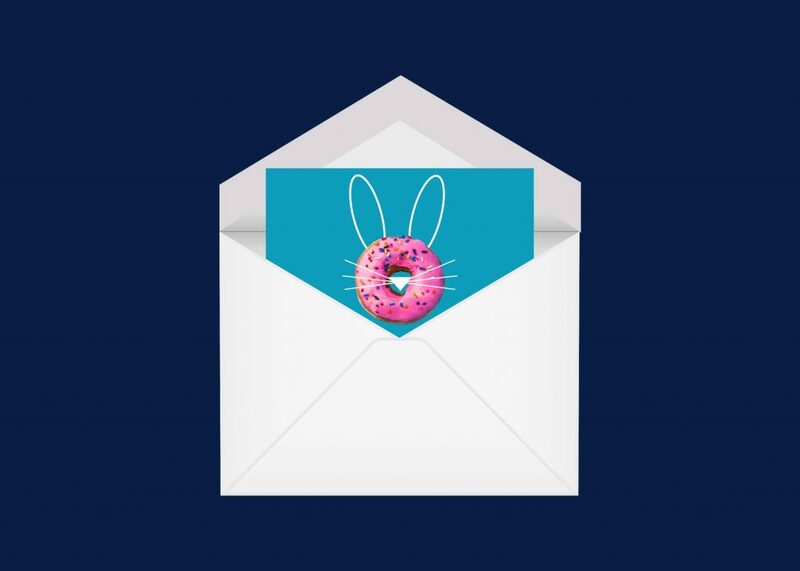 Doughnut worry, hop along to MetroMail or give us a ring and we will be all ears! This Easter we have partnered with Greggs to promote our “stand out from the crowd” campaign. Our customers and prospects are eligible to claim a free Gregg’s doughnut on us. This northern partnership takes us back to our roots and is and is an opportunity to be a bit jovial and light hearted. Who doesn’t love a free doughnut? During the week leading up to Easter Friday, customers and prospects will be receiving greetings cards wishing them a ‘Hoppy Easter’. Within these cards are unique codes that can be redeemed at www.metromail.co.uk/greggs. By visiting the website and entering your details you will receive an e-voucher. This can be claimed at any participating Greggs stores for a sweet treat up to the value of 80p…Sprinkles anyone? Visit metromail.co.uk/greggs and input your unique code, this can be found on the mailer we sent out to you. Once this code is entered you will receive an e-voucher to claim your sweet treat. You can opt for this code to be sent to you via email or, if you’d prefer not to give your email address, the e-voucher will appear on the screen. Print out the screenshot or show your email to any participating Gregg’s store to claim a doughnut up to the value of 80p. Don’t worry we’ll be doing more promotions in future! Sign up to our mailing list to keep posted.